As Washington and Moscow agreed Wednesday to extend a Syrian ceasefire agreement for another 48 hours, statements by top civilian and uniformed Pentagon officials have raised serious questions over whether the US military brass is prepared to abide by the deal. Underlying these divisions are not just divergent tactical prescriptions for the pursuit of US imperialist interests in Syria, but the far graver questions surrounding the increasing military tensions between the US and Russia itself. The truce agreement, which went into effect on Monday, was negotiated between US Secretary of State John Kerry and Russian Foreign Minister Sergei Lavrov during protracted talks in Geneva at the end of last week. It calls for a seven-day ceasefire, to be renewed every 48-hours to the extent that there is a cessation of violence. After that, US and Russian military forces would begin coordinating their operations in Syria, setting up a “joint implementation center” and sharing targeting information for strikes against both the Islamic State (also known as ISIS) and the al-Nusra Front, Syria’s al-Qaeda affiliate, which recently renamed itself as Jabhat Fatah al-Sham, or Front for the Conquest of Syria. 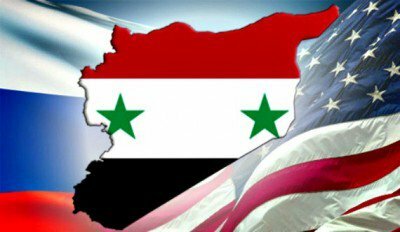 The deal has rekindled the sharp tensions within the Obama administration over US imperialism’s proxy war for regime change in Syria. These divisions boiled to the surface previously over President Barack Obama’s failure to use greater military might to enforce his demand that Syria’s President Bashar al-Assad relinquish power and, in particular, in September 2013, after the US backed down from its threat to carry out a “shock-and-awe” assault on Damascus over the trumped up charge that the Assad government had used chemical weapons against civilians. Instead, Washington accepted a Russian-brokered deal for Syria’s chemical disarmament. More recently, some 50 career State Department employees issued an internal dissent memo in June, calling for the US to launch air strikes against the Syrian government, supposedly as a means of bringing an end to the bloodshed of the five-year-old war that Washington itself provoked in pursuit of regime change. The present divisions are far more ominous, however, pitting active duty US military commanders against the policy of the administration, implicitly posing a challenge to the constitutional principle of civilian control of the military. According to a report published Wednesday in the New York Times, US Defense Secretary Ashton Carter first gave voice to the military’s opposition last week during a conference call in which Secretary of State Kerry was advocating acceptance of the agreement with Russia. Kerry “grew increasingly frustrated” as the debate dragged on for hours before Obama ultimately approved the deal, the Times reported. Even after the administration decided on this policy, however, senior uniformed commanders have openly expressed reservations, if not outright opposition. By “our folks,” Breedlove was apparently referring to the collection of Islamist militias that Washington, together with its regional allies, Saudi Arabia, Turkey and Qatar, have paid and armed. One of the major sticking points of the ceasefire agreement is that the US is supposed to get its proxy forces to separate themselves from the Syrian al-Qaeda forces with which they are allied and, in many cases, from which they are indistinguishable. These statements were followed Wednesday by a speech delivered to the Institute for the Study of War in Washington by Army Gen. Joseph Votel, the commander of the US Central Command expressing similar reservations about the Syrian ceasefire agreement. Similar sentiments were voiced the previous day in a speech to the Atlantic Council by Under Secretary of Defense for Intelligence Marcel Lettre, who mangled the English translation of the Russian proverb mouthed incessantly by Ronald Reagan during the 1980s negotiations with the Soviet Union on nuclear weapons treaties. Responding to this drumbeat of military opposition, Kerry delivered a meek defense of the deal he negotiated in an interview with National Public Radio Wednesday, insisting that Obama supports and is prepared to implement the agreement. The US secretary of state “thinks” the Pentagon is prepared to abide by an agreement approved by the US president, while stressing that he is not asking the military brass to “abrogate their standards.” Kerry’s remarks express the real relations within the US state apparatus, the overriding influence of the vast military and intelligence apparatus and its ability to exercise what amounts to veto power over the country’s elected civilian officials. If Kerry and the military are at loggerheads, it is bound up with the conflicting priorities in the prosecution of US imperialist policy on a global scale. The support of Kerry and others for the ceasefire is driven not by any humanitarian concern over bloodshed in Syria, but by their desire to use collaboration with Russia as a means of salvaging at least some of the proxy forces that they have backed, which are on the verge of a complete rout by Russian-backed government forces. They hope that they can employ a combination of diplomacy and military threats to pressure Moscow into acquiescing to some form of the regime change that Washington has pursued through its bloody intervention in Syria over the past five years. For their part, the decisive layers within the US military command are focused increasingly on the preparation for direct military conflict with Russia. Concrete reservations have been raised about sharing targeting information against ISIS and the Nusra Front—aside from their being the main fighters for US-backed regime change—that it could provide Russia with intelligence on US military protocols that it could used to defend itself against air strikes on or within its own borders. Under conditions in which the US is building up its forces from Eastern Europe and the former Baltic States to the Black Sea in an increasingly aggressive encirclement of Russia, this has become a major concern. The anti-Russian hysteria that has been generated by the US corporate media—led by the New York Times—over an alleged Kremlin hand in the hacking of the Democratic Party and allegations that Donald Trump is “dupe” of Putin is entirely bound up with these war preparations. The emergence of divisions between the military and the Obama administration over the Syria agreement with Moscow constitute an urgent warning that the danger of far bloodier wars and even a nuclear conflagration are steadily growing.